As a last tribute to summer we made this cold and yummy dessert. So Delicious Mudslide Chocolate Chip Frozen Yogurt. We were looking for a lighter choice for dessert. This is all natural, and so good!!! Smooth and creamy. Rich and chocolately. Another successful day in the kitchen! I cannot say enough about how special this time is that we spend together. Learning and sharing. 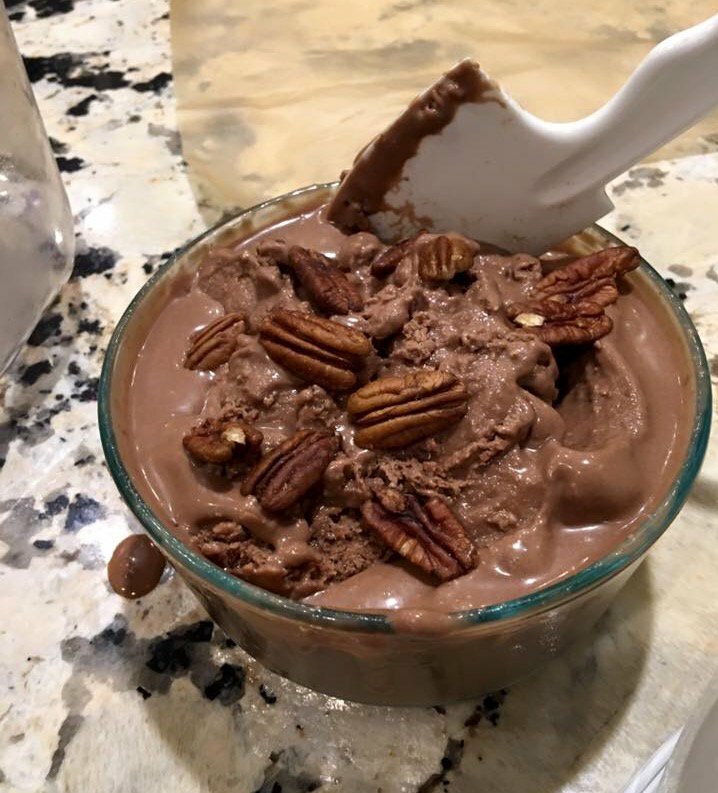 Combine all of the ingredients in a blender except chocolate chips and 1/2 cup pecans, and blend until smooth. Chop remaining pecans and stir in to mixture. 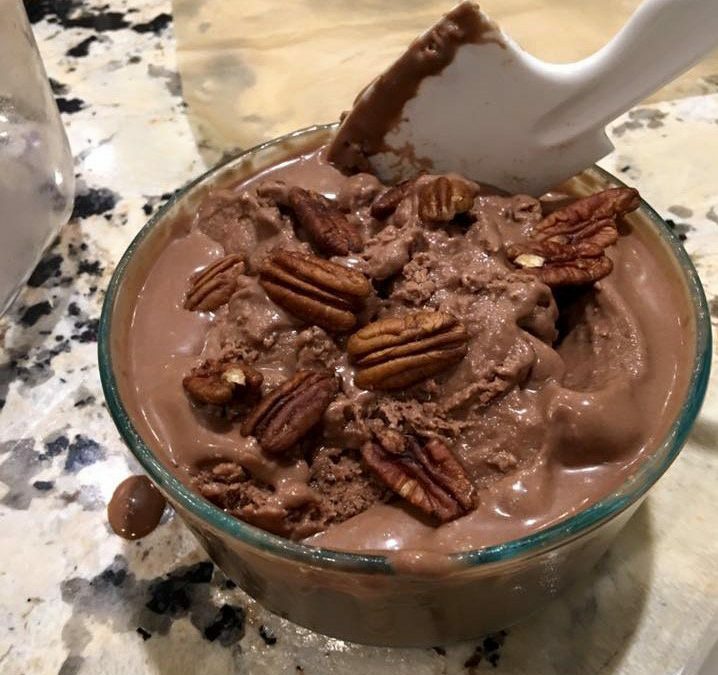 Once chilled, put the mixture in your ice cream maker. Once it is thick and the texture of soft-serve ice cream, it is done. Enjoy!